People will talk of ‘a tough week’, ‘resiliency’, ‘showing character’ blah blah blah, but Celtic were not good against Hearts in the midweek. The hosts were the better side before the away side scored on the counter, while Celtic created only a couple of chances in the second half, taking one, despite playing the entire period against ten men. They’ll have to perform a lot better against Hibs, who really have some momentum behind them off the back of three straight weeks. 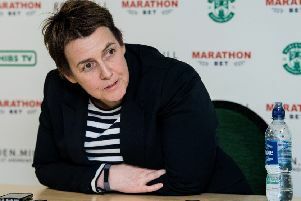 With Easter Road rocking and a dressing room desperate to get one over on their old boss, I’m picking the hosts. Prediction: Hibs win.